September 15, 2018 3:01 pm. Co-trainer Ben Hayes fancies Muraaqeb as an Epsom outsider after his strong win in the Shoot Out Mile at Randwick. The four-year-old entire ($6.50) was unchallenged in the 1600m race as he blazed to front just past the 400m and stayed there to beat Another Dollar by 1-1/4 lengths. The victory put Muraaqeb, trained by young Hayes, his father David and uncle Tom Dabernig, back in the winner’s stall for the first time this preparation after a sixth and third at Caulfield in the past month. “Last time he raced here, he won over a mile,” Hayes said. Hayes credited leading jockey James McDonald for the tactics that resulted in Muraaqeb’s win over favourite Another Dollar ($4.60) and Goodfella ($11). “I have to give James McDonald all the credit for (the ride),” he said. 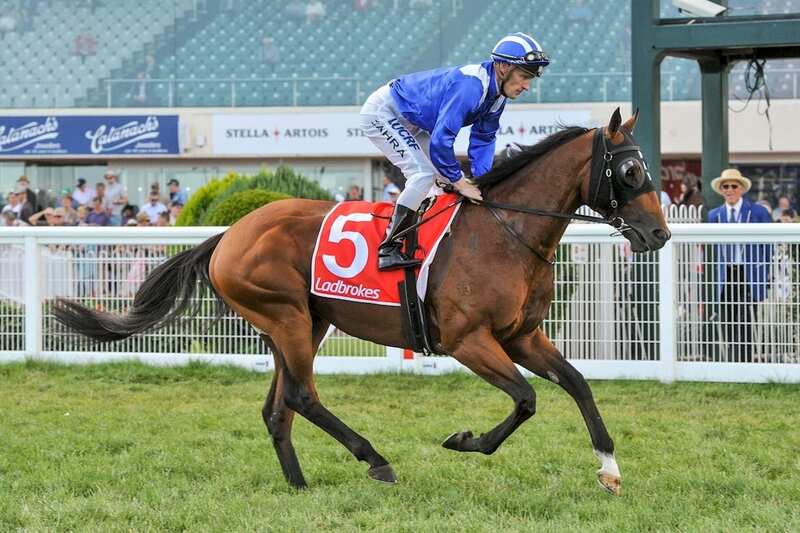 Hayes believes Muraaqeb can give the Group One $1 million Epsom Handicap a shake over the same distance on September 29. “We might look at running him as a lightweight chance for the Epsom,” he said.